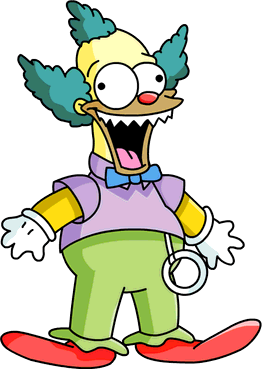 "I'm Krusty the Clown and I'm gonna kill you!" 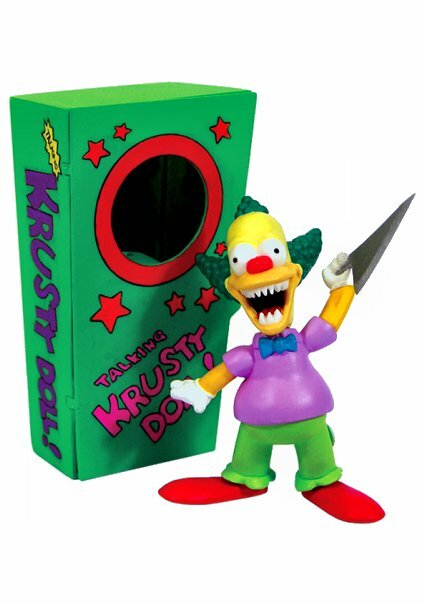 The Evil Krusty Doll was a doll Homer bought at the House of Evil for Bart's birthday. Homer, who forgot to buy Bart a present, went to the House of Evil to buy one for him. He gets the Krusty Doll, which the shopkeeper tells him is cursed. Bart is happy about his present and calls it the best birthday ever. Homer, while sitting on the couch, pulls the string and the doll tells Homer that it hates him. Then, without pulling the string, it tells Homer it wants to kill him. 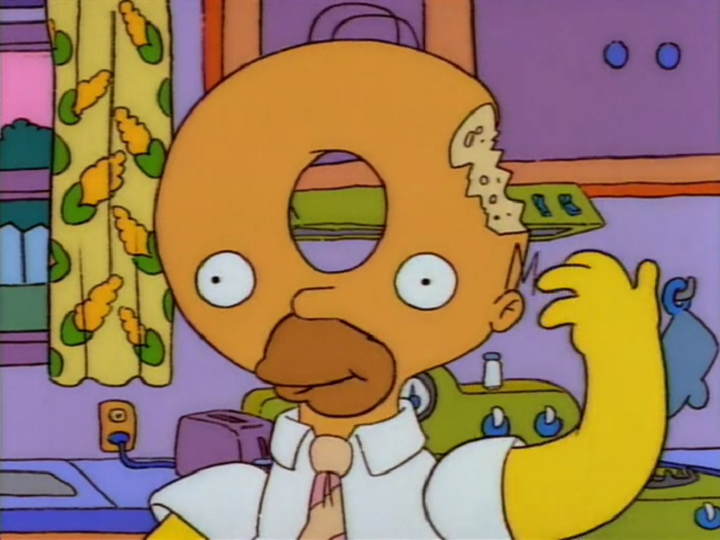 It then gets a knife and goes after Homer. It then goes back to normal and no one believes Homer. It then goes after him again once the family leaves the room then the string goes in and it asks Homer to tug it, which he does. It then appears in the bath with Homer and tries to spear him, causing Homer to run through the house naked, past Marge, Patty and Selma. The doll then flirts with a Malibu Stacy doll in a doll house. 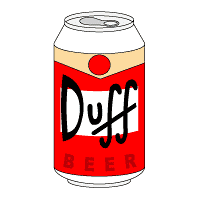 Homer then bags the doll up in a dirty sock bag and puts this in a suitcase, chains this up and throws it down a bottomless pit. The doll somehow managed to escape and strapped itself to the bottom of Homer's car. The doll then tries to drown Homer in the dog's bowl. Marge calls the number for the company and a worker comes round and sets the switch on the doll's back from "Evil" to "Good". Homer then makes it do tasks for him, treating it like a slave. The doll then goes home to Malibu Stacy, complaining about his day. 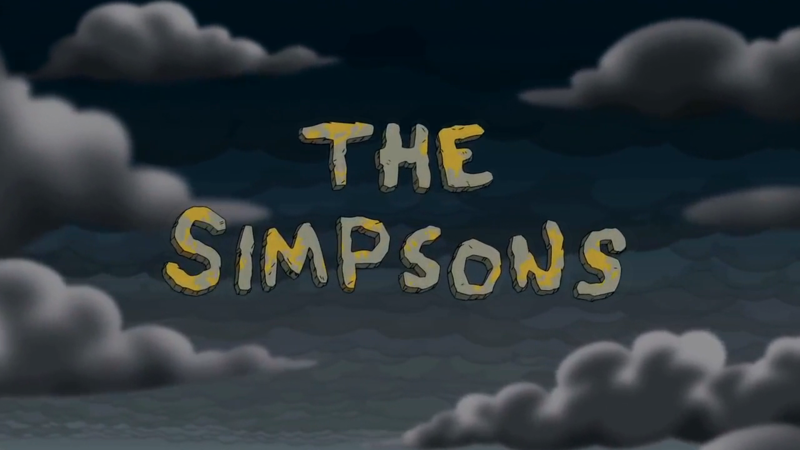 This section is transcluded from The Simpsons: Tapped Out characters/Treehouse of Horror XXIII. To edit it, please edit the transcluded page. A doll being good to its child owner but evil to the father is a parody of The Twilight Zone episode "Living Doll". There is also a toy version of the doll (pictured). 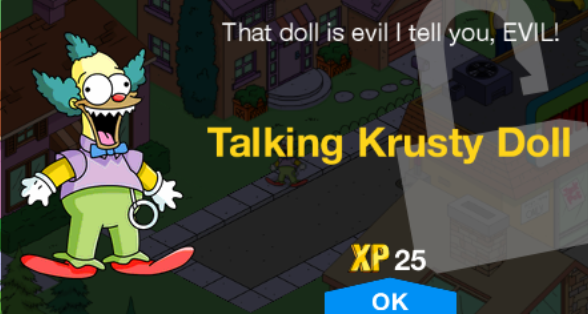 Similar little Krusties appear in the Simpsons Game. 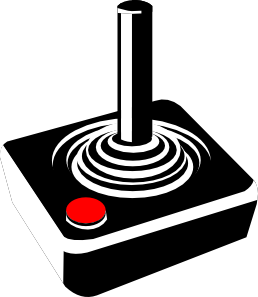 Modified on November 15, 2017, at 14:15.